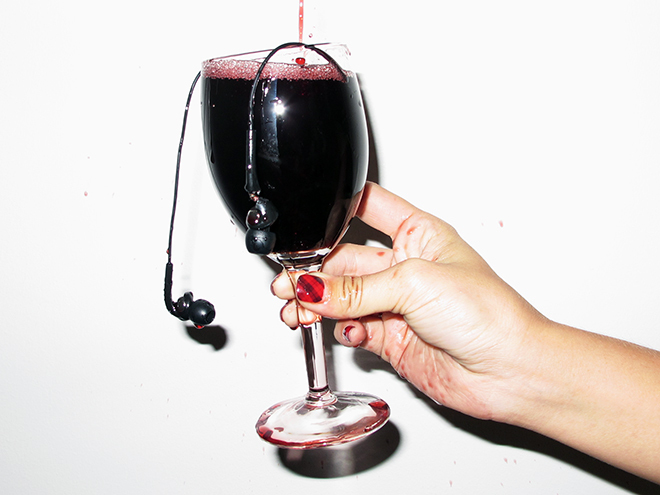 Does Music Change The Taste Of Wine? What makes the tongue even worse is that we have no idea how useless it actually is. Instead, we are convinced that the tongue is remarkably sensitive, able to perceive all sorts of subtle flavors. That’s why we rhapsodize about the taste of our favorite foods and drinks, as if the details of their taste were the most important feature. The reality, of course, is that most of taste is actually a smell. In fact, scientists estimate that up to 90 percent of what we perceive as taste is an odor, inhaled by the nose. The scent of something not only prepares us for eating it (our salivary glands become active), but gives the food a complexity that our basic different taste sensations can only hint at. If our tongue is the frame for the food — providing us with crucial information about texture, mouthfeel and the rudiments of taste — the sensations of our odor receptors are what make the food worth framing in the first place. In a new study, Adrian North has shown that when people drink wine to the accompaniment of music, they perceive the wine to have taste characteristics that reflect the nature of that concurrent music…North tested out the taste perceptions of 250 university students as they drank either Montes Alpha 2006 Cabernet Sauvignon (red wine) or Chardonnay (white wine) — both are Chilean. Crucially, some of the participants sampled their glass to the tune of music previously identified by a separate group of people as powerful and heavy (Carmina Burana by Orff); others drank their wine to music rated earlier as subtle and refined (Waltz of the Flowers from Tchaikovsky’s ‘Nutcracker’); others to the tune of zingy and refreshing music (Just Can’t Get Enough by Nouvelle Vague); and lastly, the remaining participants drank their wine with mellow and soft music in the background (Slow Breakdown by Michael Brook). There was also a control group who drank the wine with no music. After they’d savored their wine for five minutes, the participants were asked to rate how much they felt the wine was powerful and heavy; subtle and refined; mellow and soft; and zingy and refreshing. The results showed that the music had a consistent effect on the participants’ perception of the wine. They tended to think their wine had the qualities of the music they were listening to. So, for example, both the red and white wines were given the highest ratings for being powerful and heavy by those participants who drank them to the tune of Carmina Burana. And this is why the ambience of a restaurant matters. All those rituals of the table are not mere routines. Instead, they help us make sense of the incomplete information coming from the tongue. For instance, when we eat a meal in a fancy place, full of elaborate place settings, fine porcelain and waiters wearing tuxedos, the food is going to taste different than if we ate the same food in a cheap diner. (This helps explain why people spend more money when restaurants play classical music instead of pop tunes.) Because the music matters, but so does everything else. The tongue is easy to dupe.